This week on The Bugcast: guns, misspakenness, namo updates, plus 8 great tracks of Creative Commons and independent music from Dunderfoot, Ben K Adams, Garco, Waterpistol, Allmighty Crew, Emmaline Muchmore, Beach Babes, and Chaz Robinson. 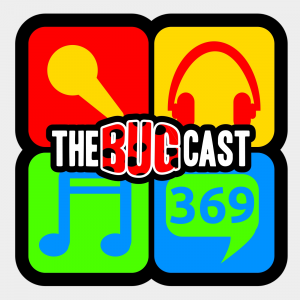 This week on The Bugcast: Podcrawl, the Olympics, and poo, plus 8 great tracks of Creative Commons music from Kellee Maize, Sydney Leigh, VOIC3S, Waterpistol, Amy McFollow, Bryyn, The Verandas, and Aniqatia. This week on The Bugcast: two debuts, two announcements, nominations, plus our usual mix of 8 amazing Creative Commons and independent tracks from In Isolation, Thoola, Townhouse Woods, Roy Smiles, waterpistol, Niki J Crawford, Port of Est, and Flat People.